Are you or your child a candidate for Otoplasty? Children who are at least 5 years old, cooperative, and accept the idea of undergoing surgery are excellent candidates for Otoplasty. Healthy teens and adults who have realistic expectations of the outcome are also good candidates for ear surgery. Otoplasty requires either general or local anesthesia. Dr. Jejurikar will discuss what type of anesthesia is most appropriate for you or your child. Dr. Jejurikar usually makes incisions on the back surface of the ear(s). During the ear surgery, Dr. Jejurikar will place permanent internal stitches to shape and secure the cartilage of each ear, holding it back toward the head. Each procedure is personalized to suit each patient’s needs and ultimate care is taken to prevent an unnatural appearance or “pinned-back” look. After ear surgery, you or your child will wear surgical dressings to help maintain your new ear shape. After a week or two, the dressings are removed. Any scarring will face over time. Dr. Jejurikar will be happy to talk with you personally to address any of your questions or concerns. 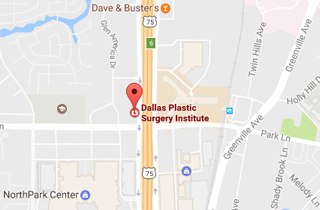 Call (214) 827-2814 to schedule a one-on-one consultation with Dr. J. to discuss Ear Pinning (Otoplasty) at our office located in Dallas, TX.